Feed a Cat Today! Jumble Sale for Charity! 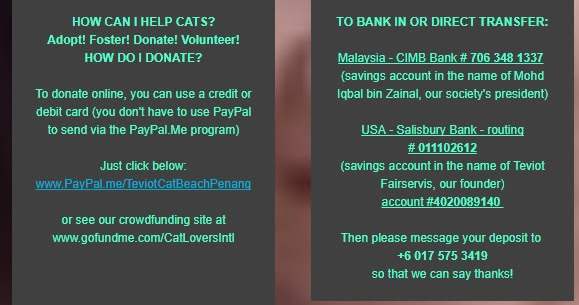 Please help Cat Beach feed these hungry cats! Save the lives of cats! we need your help to care for them all!ADOPT VOLUNTEER DONATE! Please consider donating monthly – whatever you can afford. 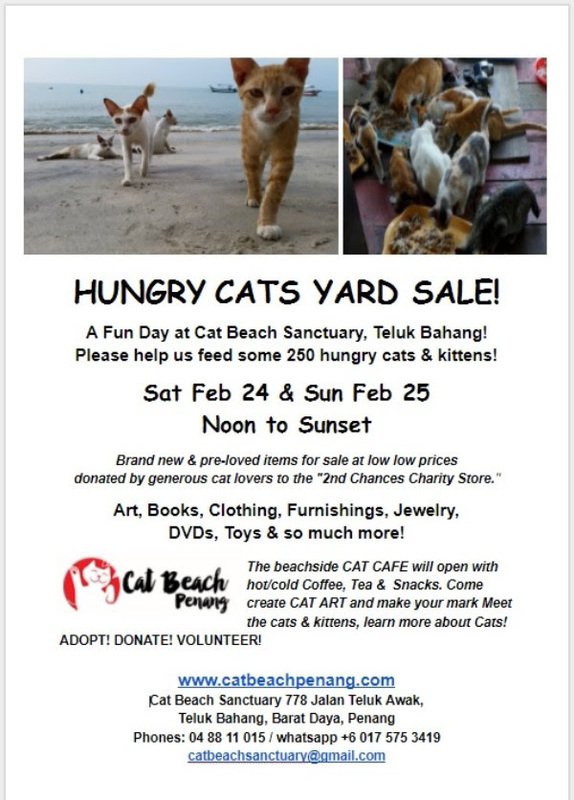 for our furry feline friends in need! 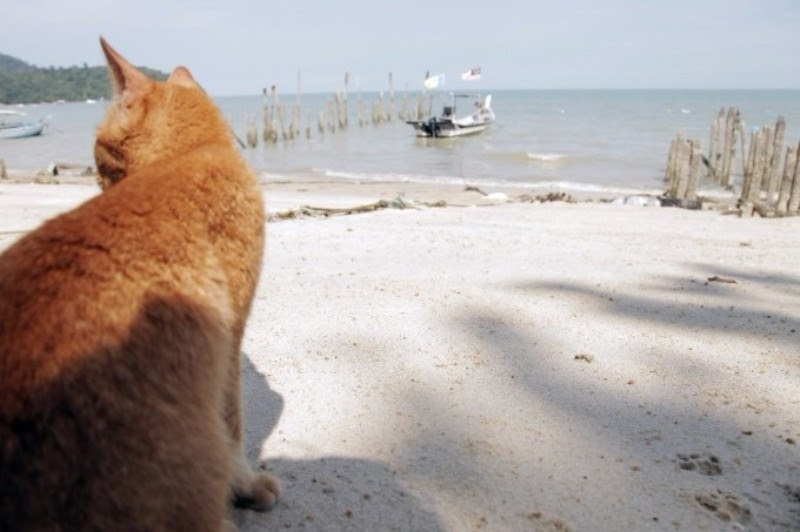 Each cat comes to the beach because there is an emergency and the cats have nowhere else to go. With your help, we can do our best to give them the best care possible. 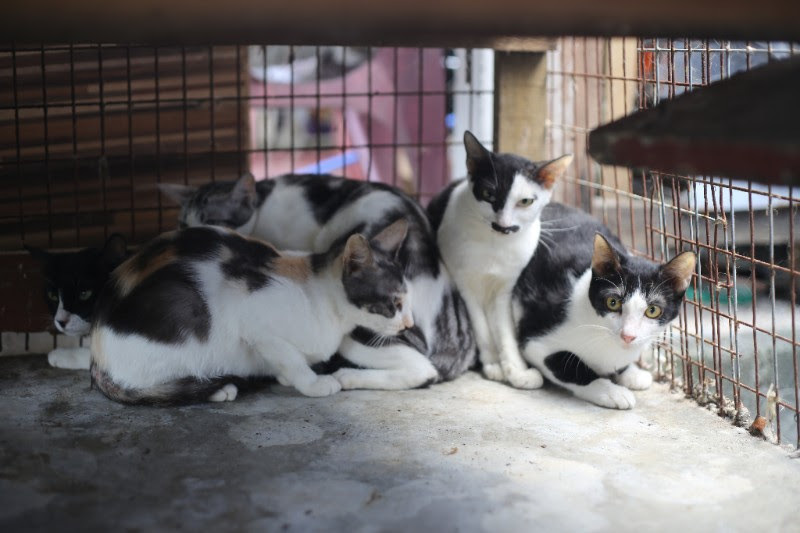 These cats belong to us all — they are our Community Cats and if every cat lover can give a little bit, Cat Beach Sanctuary will sustain and grow as a loving home for cats – and a great place for humans to visit! 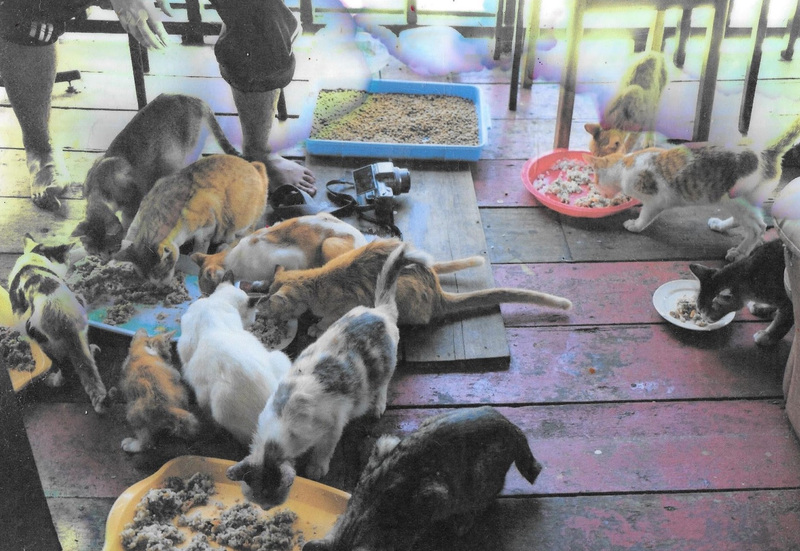 In the photos on the left are some of the cats in a group of 19 adults and 10 kittens that were brought in this month. 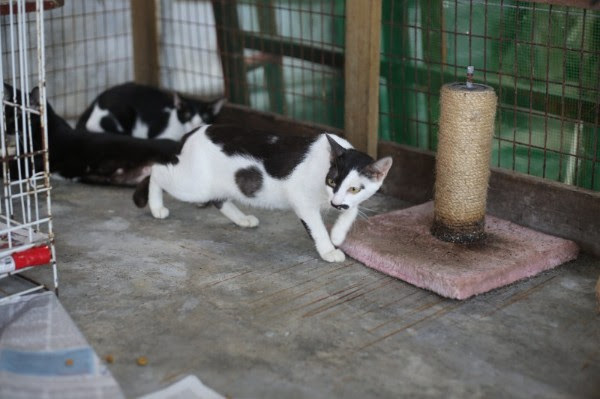 Little warnng given – no phone call was received; the cats were brought in and left in hopes someone would care for them. Luckily, our small hard-working team welcomed them and we happened to have a cage empty as it was under repair. These beauties were terrified initially but are now starting to settle in and we hope, enjoy life at the beach. Adoptions, anyone? Would you like to know the latest news? 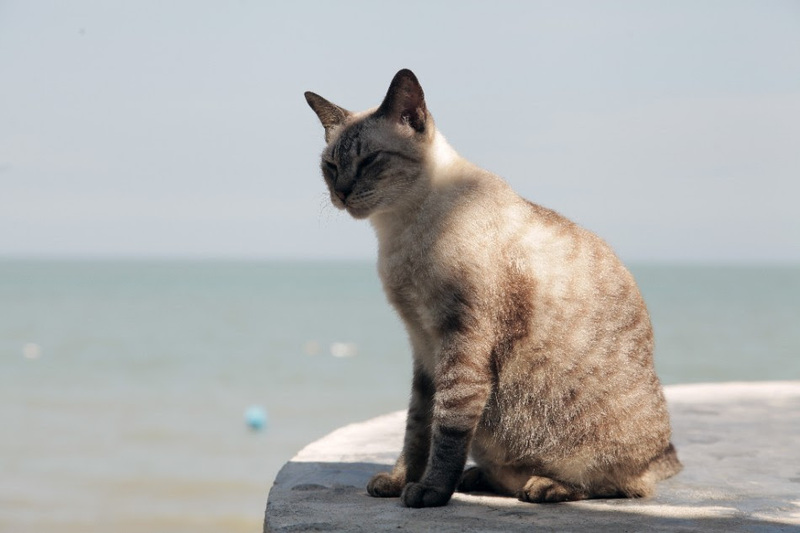 Join our Whatsapp “What’s Up at Cat Beach” to exchange information and ideas with other animal lovers in Penang. Just send an sms to Teviot at +6 017 575 3419 and ask for an invitation.